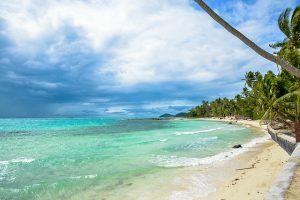 The best retirement destination for Australians in 2019 is Thailand according to the just released 2019 Global Retirement Rankings by internationalliving.com/au. Thailand takes the top spot in International Living Australia’s 2019 Global Retirement Rankings. It topped the categories of Buying and Renting, Entertainment and Amenities, Visa and Residency, Healthcare and Infrastructure while scoring well in the Fitting in, Opportunity and Cost of Living categories. Thailand offers a super-easy, convenient and affordable retirement destination with world-class healthcare, friendly people, delicious cuisine, lots to do and a warm climate to do it all in. Indeed, Thailand offers expats excellent value for money. Michael and Vivien are savouring a plush lifestyle in Hua Hin, a Royal resort town just 200 kilometres south of Bangkok. “Luxury for less is a great way to explain the cost of living in Thailand for expats,” says Michael. “When we chose to stop renting and buy something that we could call home, we found an exceptionally comfortable two-bedroom two-bathroom ‘pool villa’, with our own plunge pool and Jacuzzi. Some of the world’s most beautiful beaches are located in the south of the country. From tropical idylls like Koh Samui and Hua Hin to tranquil islands like Phi Phi and Koh Lanta, there is something for everyone here. Some expats prefer to live in the smaller villages that dot the coastlines on both sides of the country, where accommodation costs are lower still and life moves at a slower pace. Others explore up north. A couple of years ago, IL Chiang Mai Correspondent Rachel Devlin decided to sell up in Australia and make the move to Northern Thailand. When she told friends and family her plans, they thought she was making a mistake. Three years on, she’s retired and living her dream life in Chiang Mai, Thailand’s “Rose of the North”. “My move wasn’t about escaping a terrible life, but shifting to a healthier one,” says Rachel. “A few years ago, I didn’t even realise that I yearned for a better lifestyle. It naturally evolved when I moved here. Here, I have time to pause, breathe and really appreciate the time I have. The 2019 Global Retirement Rankings brings together key local knowledge and research into one indispensable document. It’s real-world insight from real people in those dream locations—locations where their dollar goes further and where expats can get the very best value when it comes to real estate, cost of living and overall quality of life. Pamela Manning, 77, also choose to settle in Chiang Mai. “One of my passions is designing clothes for myself and getting the tailors here to bring my creations to life,” she says. “I can buy fabric here for as little as $2 per metre and a top can be made for as little as $8. This wasn’t a hobby I could pursue affordably in Australia. But here in Chiang Mai, life is different. “There’s a strong expat community and I’m kept busy. I play golf, I draw, I sing in a choir—I even had a go at acting and was in a play with the local theatre company. “The more time I spent in Chiang Mai, the more I fell for its many charms and so I decided to buy an apartment here. For just $30,000 I was the owner of a property in a foreign land.